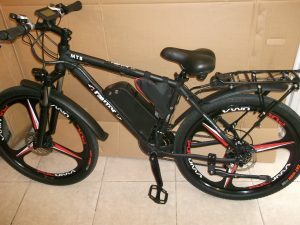 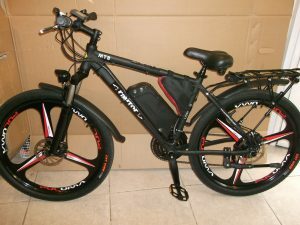 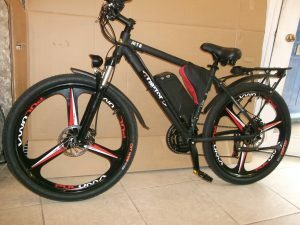 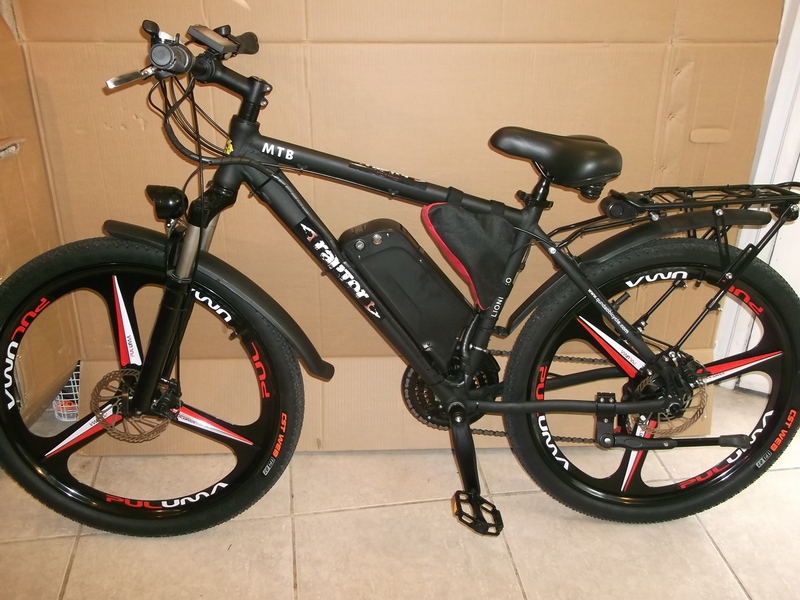 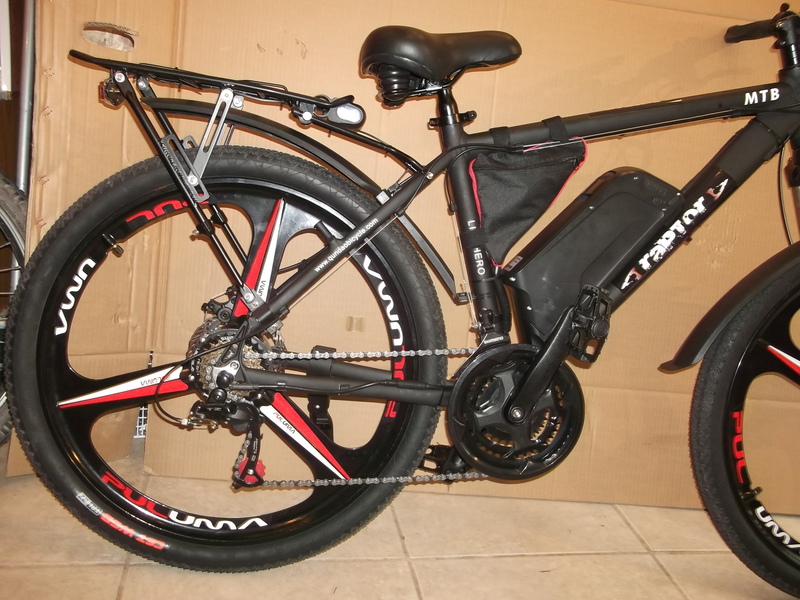 This state of the art E Bike comes with 3 Blade Magnesium alloy wheels, A Full Torque square wave controller, KT-LCD3 screen, 36V 20 Amp Lithium Battery, 6061 Alloy frame, Front suspension with Lockouts, Disk Brakes, LED Lights, 21 Speed Shimano gears with TX50 Shifters. This bike also features 5 Level PAS, Speedometer, Odometer, Boost function Cruise Control and USB port for charging Mobiles Etc and a Radio fob Alarm. The 20 Amp Battery gives this Bike a range of 50 + Miles. 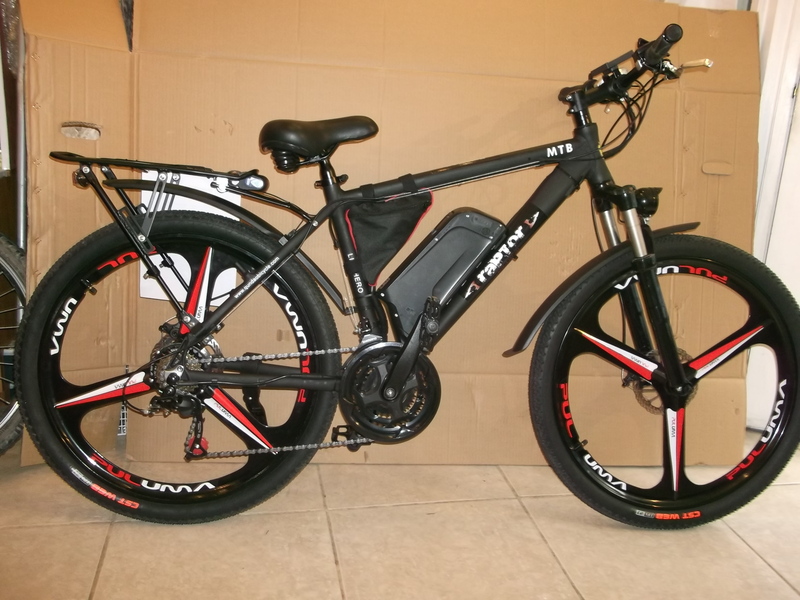 And is fitted with 26” Mag Alloy wheels with Hybrid 2.10 Tyres for quick and responsive ON/OFF road handling. 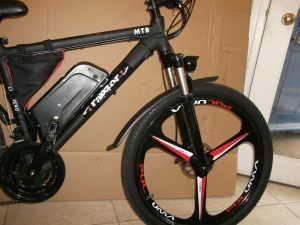 The bike can be switched to road legal mode, or full boost off road mode.